Ornate and delicate, Heiress of Pearl jewellery set comprises a dainty crystal and pearl necklace and coordinating drop earrings full of vintage inspiration. 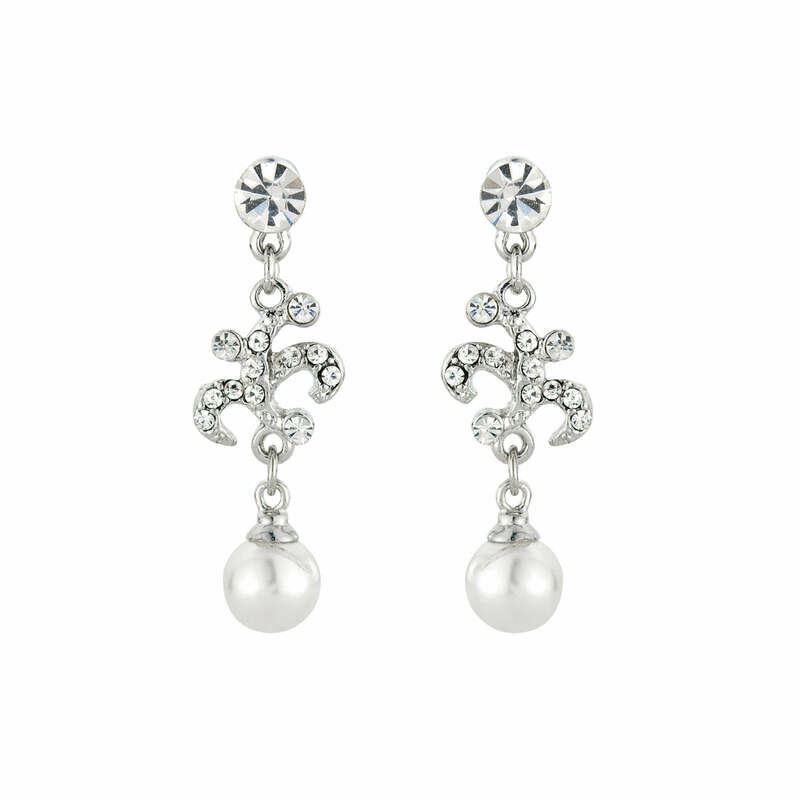 If you adore 1940s accessories, our Heiress of Pearl will capture your heart. Featuring a necklace with ornate crystal encrusted scroll detail and a pearl droplet with complementing delicate drop earrings, the detail in this delicate duo is nothing short of beautiful. Brides who adore vintage jewellery sets with a dainty style that still makes a statement, will love this two piece. With such intricate scrolling, it would be easy for your guests to presume you're adorned with a handed down family heirloom. Beyond the special day, the versatile charm of Heiress of Pearl will take you to every party in style. Whether you want to wear the earrings alone for a informal daytime event or the complete set to dress up an outfit with a subtle touch of vintage glamour, this set is quite simply perfect.